St Giles Choir trip to Grimsby on 17 August 1929. See note below. Photo courtesy of V. Hopkinson. 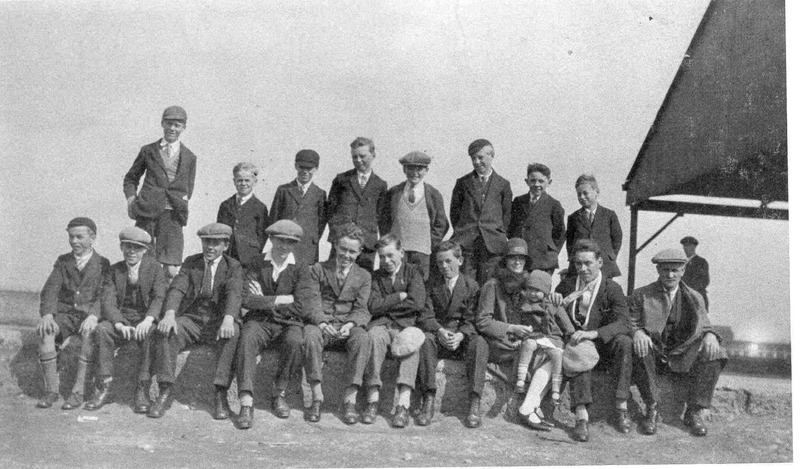 St Giles Choir trip to Grimsby – 17th August 1929. Front row: Eric Wright, Clifford Hales, Harold Jones, Dennis Barlow, Kenneth Howe,. Frank Cawkwell, Ernest Stenton, Mrs Ernest Hall (nee Drakett) and daughter, Ernest Hall, Mr Drakett.